EXCLUSIVE! 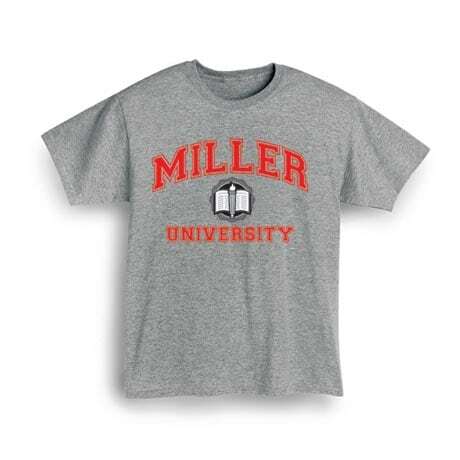 Looks like your traditional university shirt, but surprise friends and family with any personalized name or phrase above the emblem. Makes for a fun, individualized gift to a loved one or yourself! 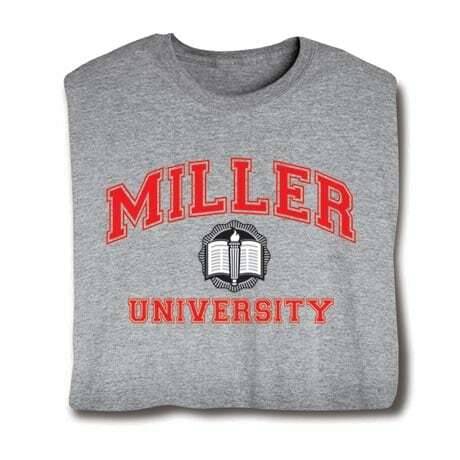 T-shirts are 90% cotton/10% poly, sweatshirts are a 50-50 cotton/poly blend. Imported shirts. Printing in the USA. Machine wash. M-XXL. Sport gray color.